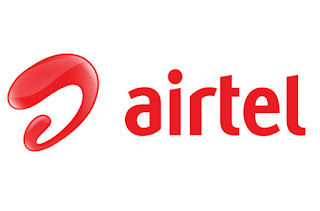 Airtel is offering 1GB Data and Free Calls for selected users priced at Rs 244 and Rs 399 for 70 Days According to report Airtel to launch new six plans which will be Rs 498, Rs 648, Rs 899 and Rs 1198 with Free Calls and Data. Airtel has also modified the previous plans of Rs. 149 and Rs. 349 and also added three new schemes with the validity of four weeks. The Rs. 149 plan now gives unlimited Airtel to Airtel calls and 2GB of 4G data for four weeks, whereas the Rs. 349 pack offers unlimited calls to any network across India and 2GB of 4G data per day for four weeks. Rs 549 will be offer 2.5GB Data Daily unlimited Airtel to Airtel, Rs 799 will offer unlimited calls to all networks and 3GB Data Daily, Rs 999 will offer unlimited calls to all networks and 3.25GB Data Daily. To recharge with any of the offers, a customer should have a 4G handset and a 4G Airtel SIM card.As of Now, these offers are available for selected users only.